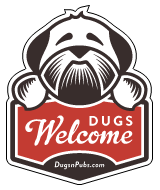 Dog Friendly Pubs, Shops, Cafes and Accommodation in Aviemore & the Cairngorms, Highlands in Scotland. The Old Bridge Inn, on the banks of the Spey, and on the road to the ski slopes, offers a roaring log fire and great atmosphere, along with excellent food and a fine selection of cask ales, premium lagers and malt whiskies. It has always been a favourite haunt for those who enjoy the outdoors, while friendly staff and locals always make you welcome (and that includes your dog)! There are a total of 23 dog friendly listings in the Aviemore category. Please log in, or sign up as a member to view all listings.